HYUNDAI PART NUMBER 0K2A513Z40A. 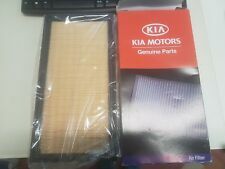 KIA CARENS 1.6 1.8 2.0 2000-2006 PETROL. AIR FILTER AIR CLEANER. We are more than happy to help you identify the part that you need! Unless stated all our parts are NEW, in FULLY WORKING CONDITION.